I read somewhere that you're supposed to eat a rainbow a day -- namely, a fruit or veggie for each color of the rainbow. That seems like so much food to me, but when you make grilled vegetable kebabs, it isn't difficult to enjoy your daily rainbow. There's something magical about charring food. It makes everything tasty. This is a ridiculously simple recipe and served with brown rice and grilled tofu you're guaranteed a healthy, delicious meal. Heat your grill to high. Chop up your veggies into bite-sized pieces and place in a large mixing bowl. Toss with olive oil, salt, pepper and garlic powder. 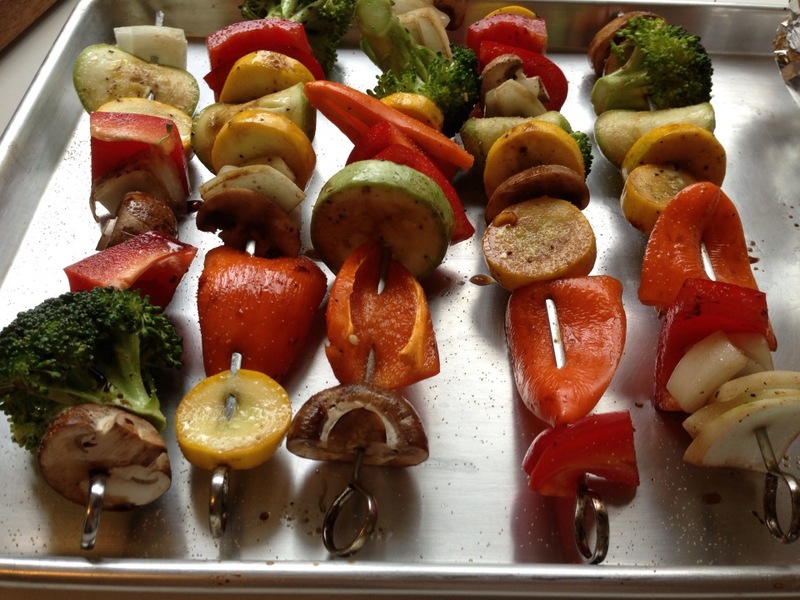 Place on to metal skewers and set on a tray. 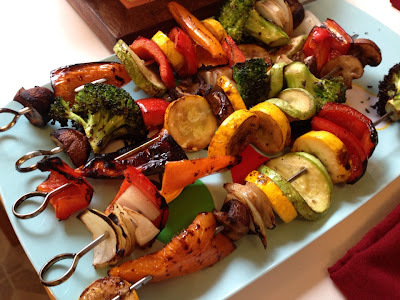 Drizzle kebabs with balsamic vinegar. Place on the grill and cover for about five minutes, or until they are lightly charred. Turn with tongs and grill another five minutes. 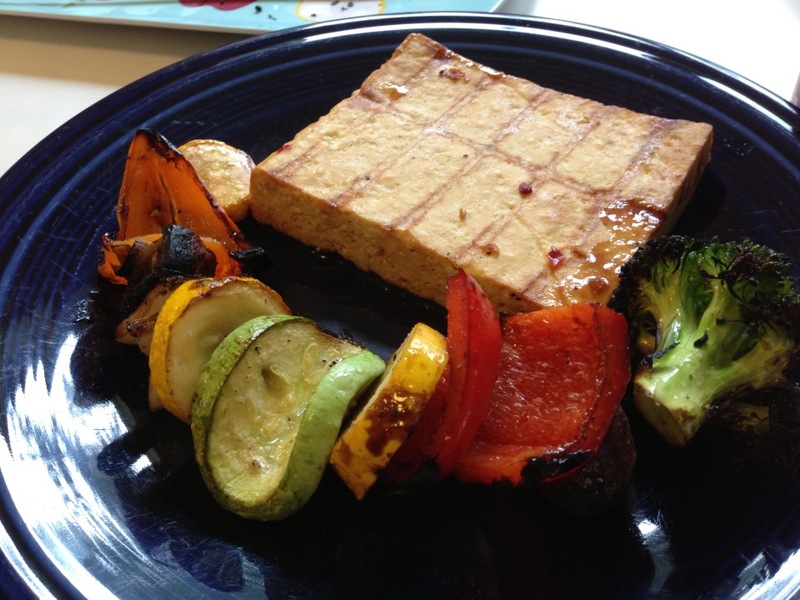 Serve with brown rice and grilled meat or tofu.